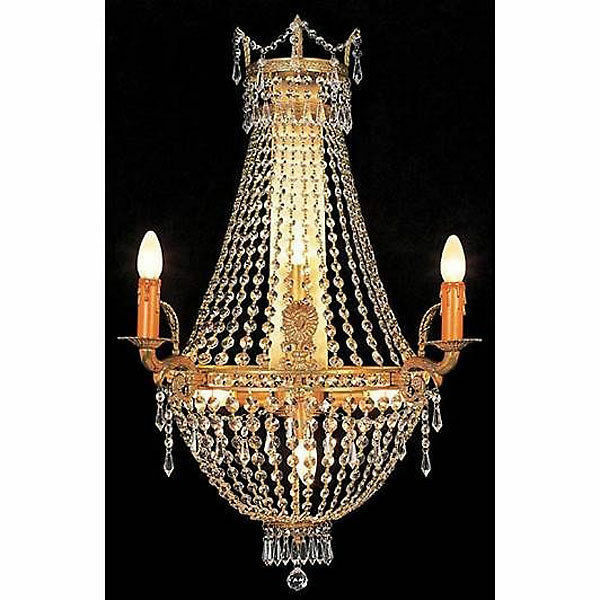 Hollywood Regency Gilt Iron Crystal Chandelier Wall Fixture Sconce, 29''H. 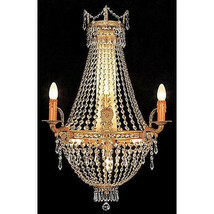 Home » marciatreasures' booth » Hollywood Regency Gilt Iron Crystal Chandelier Wall Fixture Sconce, 29''H. $495.00 This item is selling for $495.00 on eBay.